Have you ever wondered what a $5 million drag race would look like? 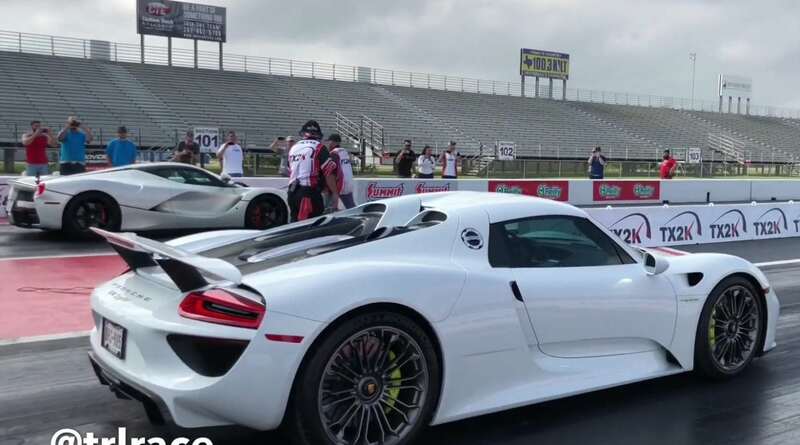 Well today is your lucky day, a Porsche 918 recently went against a Ferrari LaFerrari in a father and son drag race. Now most of the times these supercars never get pushed to the limit, or even close; but this father and son duo are clearly not shy about there passion for cars and racing. 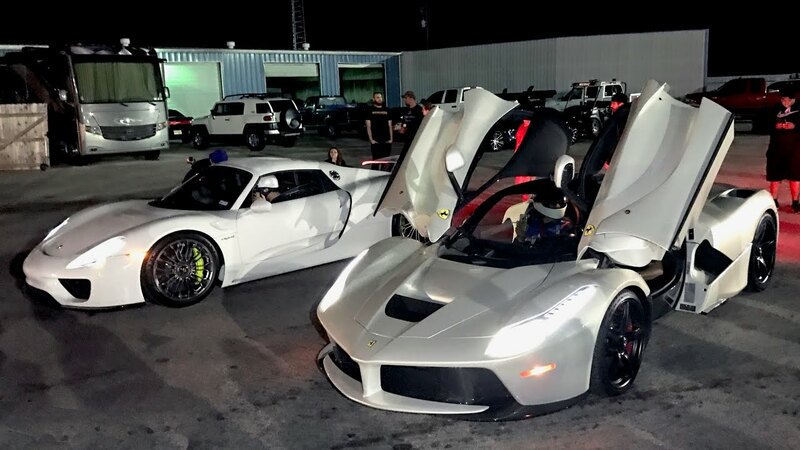 In an exciting even held at Turnpike Racing League, you will notice in the video below that the LaFerrari is allowed a slight head start because the Porsche 918 is over a second faster. This is not a heads up race where both cars take off at the same, but instead something called a bracket race. The goal of a bracket race is to have both cars finish the race at the same time. The Porsche 918’s time of 9.71 is over a second faster than the Ferrari LaFerrari’s 10.73. Breaking down the numbers, the Porsche packs 887 horsepower and 944 lb-ft of torque compared to the LaFerrari which boosts 949 horsepower but only 664 lb-ft of torque. Enjoy the video below and make sure to share it with your friends because this was most likely the most expensive drag race you will ever see online or in person.